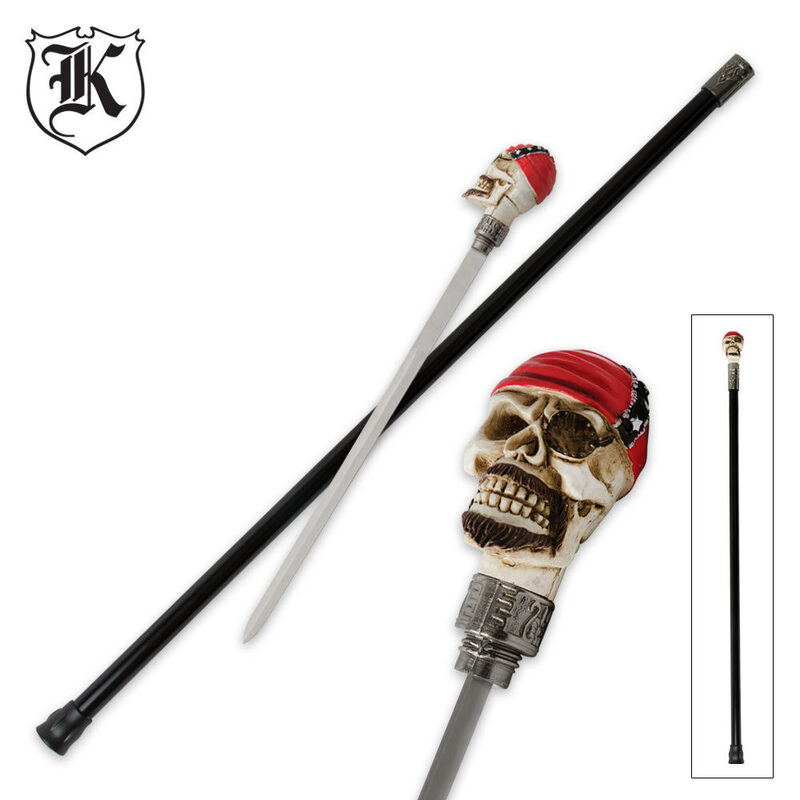 This Rebel Sword Biker Sword Cane is sure to draw attention from everyone! 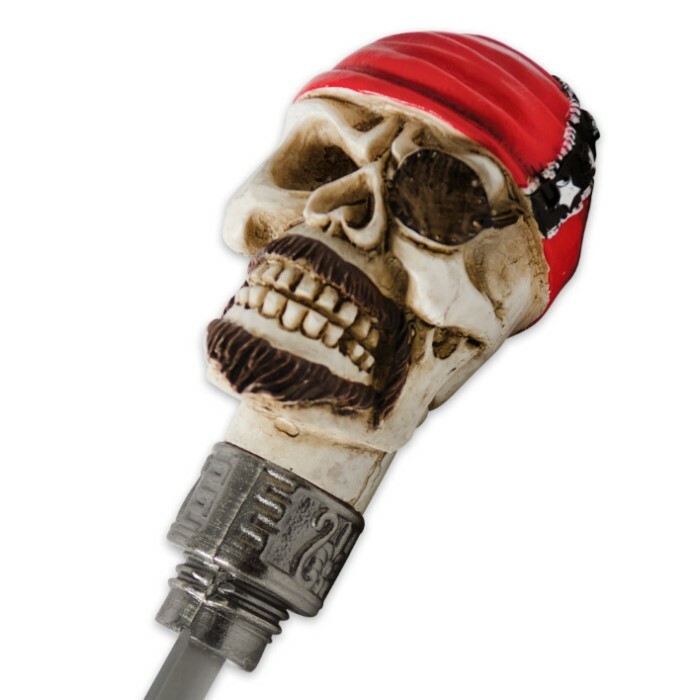 The head is an intricately cast resin skull with a goatee and a rebel flag hat, met by a 15-1/2"" stainless steel spear point blade. Simply turn the head to unscrew the sword from the steel shaft. It comes complete with a rubber toe on the end.